For professional Passport & Visa Services, contact us. We are Soham Holidays, one of the prominent travel agents from Pune, Maharashtra that offer specialized Passport and Visa Services. We have a team of expert agents and consultants that are well versed with the legal matters concerning the procurement of a passport and a visa. We will assist you right from filling your forms, till you actually receive the passport and visa. We are also available for all the essential verification checks and the necessary follow ups so that you are not confronted with any kind of bother. 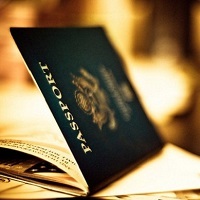 Associate with us and get certain of procuring a passport and visa at nominal rates.